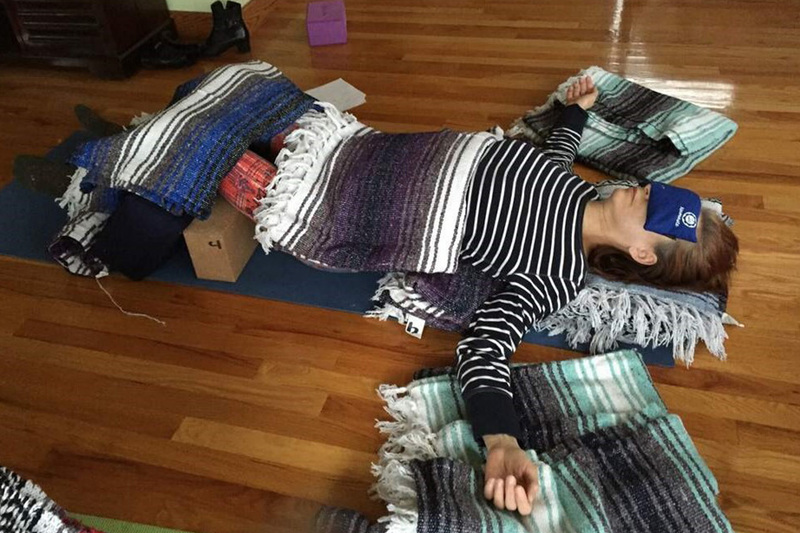 This is your deeply relaxing style of yoga practice. It is a receptive practice, not an active practice. 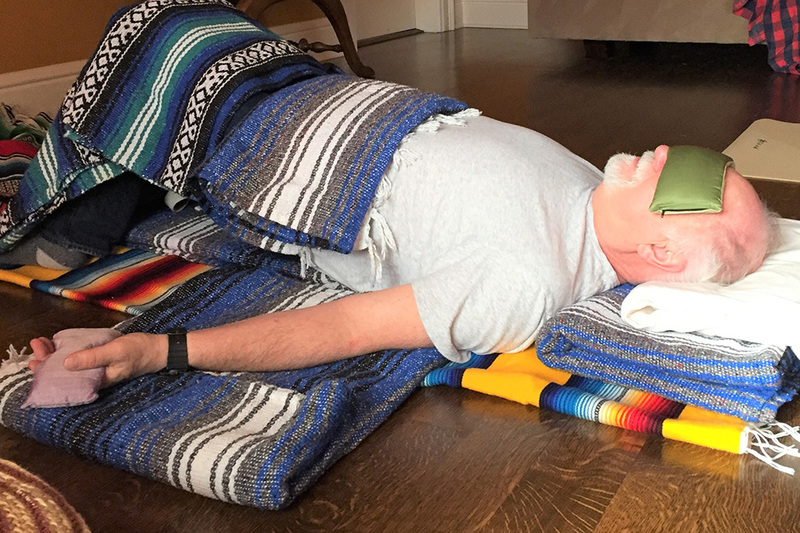 In restorative yoga, poses are held from five to as long as twenty minutes. 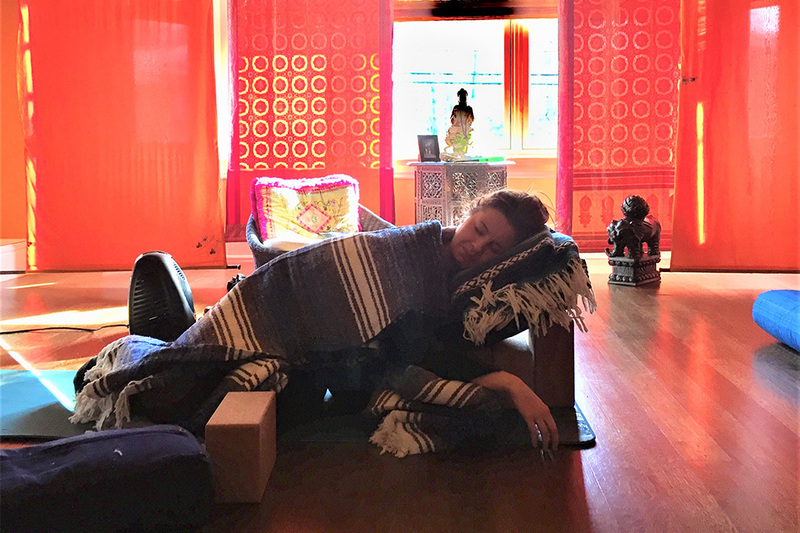 During this time, you are reclining in “shape” postures while being completely supported with blankets, blocks, or bolsters (pillows). You enter into a state of relaxation. It is here when you can “let go” of those deep holding patterns in your body and find a state of balance that will allow your body to heal. It is therapeutic to heal injuries and ailments. Most importantly this yoga relieves the symptoms of chronic stress. Restorative postures can be integrated into a regular yoga practice to give greater balance to a more active practice and lifestyle. 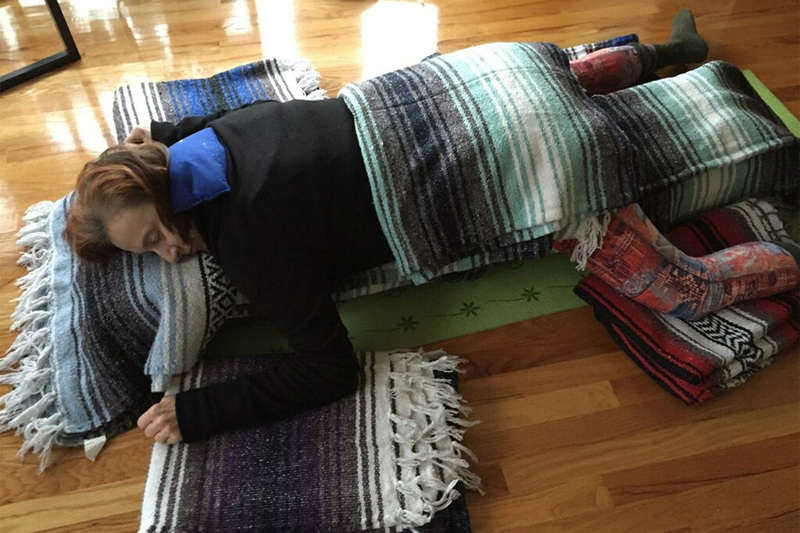 Once you experience restorative yoga, you will fall in love with it!